My Charmed Cabin Life: Are YOU prepared TODAY? Did you know that most American families do not have enough food in their homes/residences for 3 straight days? They certainly don't have enough food for 2 weeks. After the 2016 Tax Day Floods in the Houston area, I have been adament about having enough food on hand for emergencies. The first flood had me flooded into my home for over a week. The second flood had me flooded in for almost two weeks. I am so gratefeul that I had enough supplies to feed my family and to continue life as we know it. With small children, I do not want a large upset in their world should we become flooded in again. It goes far beyond food sources though...to be prepared. Do you have an alternate heat source? Cooling source? Can you cook meals? Can you stay warm? Do you have ideas for entertainment when the electricity goes out (imperative with children)? Do you have a real first aid kit or do you have the basic $10 first aid kit from Wal-Mart that barely has band aids and alcohol wipes? Do you have extra medication (Rx or OTC) for days or weeks when you can't go to the store? Do you have enough pet food to last as well? Pet meds? Do you have elderly neighbors that you may have to provide food for? The questions keep coming to me the more I think about it, but how about you? Have you thought of this? Think that this scenario. The weather changes suddenly and within 6 hours you have been informed by the news that you are now in a flash flood warning. The rains come and the weather gets really bad. All of the major roads around you are now flooded and you cannot make it out of your subdivision or even 5 minutes away from your home. How do you survive? What would you like to have on hand the most for comfort? Maybe a favorite bag of chips? Maybe chocolate? Maybe a good book? What do you want to have in your home for the next 14 days? Which skills do you wish you had learned that you could use during this time? Do you have an alternate source to charge your devices? Not yet convinced? What if we discuss the same scenario above...however, you are not home. You got stuck in traffic (because everyone was rushing to be home but became stuck when the roads started flooding). Do you have an emergency kit in your car? Snacks? Bottled water? blanket? Tools? A tarp? Do you have one for the kids? Diapers? Wipes? Toys? Baby foods? It can be a scary thought. The first step to getting prepared is to have a stash of food. Some may call this food storage. Some serious couponers may call it a stockpile. The point is to have enough foods in your possession to not need someone or to expect FEMA to come save the day. There are many ways to do this. 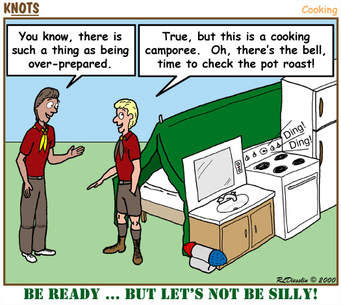 I know a lot of people who stockpile and stash fuel for the camping stove. Some have many bags of charcoal in their garage for the BBQ pit. Have an alternate source to cook your foods. You can have MREs, canned goods, dehydrated, or freeze-dried foods. Do you know how to cook them? Have a practice night for dinner! My kids love it when we cook on a campfire. Don't know where to start? Check out my Food Storage Supplies page for a list of online sources to order food storage items. You'll be surprised what's out there. WATER. Probably the most important item to have in your food storage...well, it is. Do you have a few cases in your pantry that you are saving for an emergency? Do you live on your own well or do you have public water? What if the City turns off the water due to a flood or another natural disaster? If you have freeze dried foods or dehydrated foods - do you have extra water to cook with? Second... is having enough medical supplies. Do you have access to medical information? Medical supplies? What if you get injured? Snake bit even? Do you know what to do? Extra medication? Do you have enough bandages to change every day if you were significantly injured to prevent infection? Third. Protection & Tools. What could you possibly anticipate? Do you have a way to protect yourself? What if you needed a rope or a tarp? Is that in a bag with you or still at the store because you were debating the purchase? Making a list of tools like a swiss army knife or a regular pocket knife, a tarp, a rope, flint or a lighter, and a candle could make the difference in several situations. One of the TV Shows I like to watch is ALONE. It's where a single person only has 10 items with them and they are dropped off in the middle of nowhere and the person who makes it the longest wins the prize money. Some people live for months off the land...others don't even make it the first night. I often think about which items they selected and which ones I would have preferred to have or contemplate their selections. Fourth. Develop your skills. Something I have taken an interest in is getting my treadle sewing machine back up and running with a new belt and getting enough oil and lubricant for the machine in my pantry supply closet. Why? Because she can sew through 10 layers of denim and 6 layers of leather. I may need her to make items when I can't buy them. I'm also learning as much as I can about the dirt around me in case I need to plant a garden as food source. I have a small garden now with a few items because we have a larger garden at the deer camp location. I'm making a list of heirloom seeds that I would like to have on hand as well. With heirloom seeds, I can take the next year's crop and use their seeds to grow the following year's food crop. I'm currently gathering cookbooks and recipes that use food storage items instead of fresh ingredients. These will be imperative to keep my family happy and the moral high during an emergency or a disaster. Fifth. Practice. Practice what you know. Practice your skills. Learn new ones. Have you learned how to become self-sufficient? What other precautions have you taken? It can be time consuming to making your family prepared for natural disasters or even possibly a job loss. 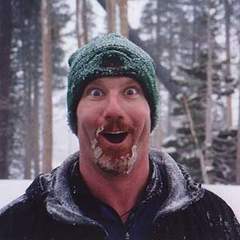 I constantly think about weather disasters and job loss as my motivations to cutting costs and being prepared. Just take a few hours a week to start your research and make a few purchases. There are many others who are learning the same things. I have also learned that others who are learning the same things are willing to share their knowledge and tips and ideas with others who are interested. People will help you learn to take care of yourself. Their are groups everywhere and I encourage you to find one that you like and join: Facebook, Google, online forums... Find a topic you want to learn more about: food storage, self-sufficiency, gardening, farming/ranching, developing a new trade or craft... The sky is the limit here! So, how prepared are you? Comment below and share your ideas and tips with others and myself. We do a lot of gardening here in Mississippi too. And I have my hens and pigs. For eggs and meat. But we also love to hunt. My husband does not Turkey hunt. He doesnt eat turkey there for doesnt hunt turkey. LOL.. I can most everything but have not mastered canned corn. Great at frezzing it. But canned always pops. Now my best friend(Maw Freeman) she can's everything The best corn greens, meat, cakes, jams, fruits,veggies well any thing. So I'm still learning. I seem to add something new to my books every year. Weather it's canning, candle making, soap making, washing powder/ liquid she lives beside a Amish community so every time I go up I get a new recipe made from scratch. LOL. For Christmas she got me a Amish Cook Book.